Jean Rogers is Screen Time Program Manager at the Campaign for a Commercial-Free Childhood (CCFC). CCFC recently launched the Children’s Screen Time Action Network, a coalition of practitioners, educators, and advocates working to promote a healthy childhood by reducing the amount of time kids spend with digital devices. New Dream is a proud member of the Network. In this post, Jean tells us about its genesis and vision of collaboration and support, and provides tips for parents seeking to reduce their kids' screen time. What do parents and others who care about children’s well-being need to know about kids’ screen time? There is so much to know. Almost every day, a new warning is issued about children and digital devices. Whether it's eye strain, sleep disturbance, exacerbated ADHD, childhood obesity and diabetes, or privacy violations, parents, teachers, and practitioners can’t keep up with it all. The fact is, we know that overuse of screen time is displacing key developmental milestones that impact social-emotional and physical health—but also children’s natural curiosity and sense of wonder. Commercialism is harmful to children. How does the effort to reduce kids’ screen time relate to the movement to keep corporate marketers from unfairly targeting children? First of all, one of the most important benefits of limiting screen time is that it limits children exposure to harmful commercialism. For parents concerned about how corporations shape children’s wants, behaviors, values, and identities, there’s simply no better way to limit this pernicious influence than limiting the time that your kids spend with commercial media. But commercialism isn’t just a harmful side effect to excessive screen time. The fact is that most of the media that children consume was designed to benefit advertisers, not kids. Children’s television is primarily designed to sell toys and other licensed products. YouTube is designed to keep kids watching as long as possible so they’ll be worth more to marketers. Social media is also designed to keep kids (and adults) on their devices as long as possible, so that platforms can build consumer profiles and deliver sophisticated personalized marketing. Some might say that screens are a big part of modern life and that kids should be trained to use them effectively rather than turn them off. How would you respond to this? Although it may seem intuitive that introducing kids to digital technologies early will make them “better” or more effective at using tech, there’s actually no evidence to support that idea. Some parents feel pressured to introduce screens to babies and toddlers, when there is no evidence of benefits—and growing concern that it’s actually harmful. For older kids, media use for schools and some high-quality uses can be necessary and beneficial. "Some parents feel pressured to introduce screens to babies and toddlers, when there is no evidence of benefits—and growing concern that it’s actually harmful." But, we know that far too many children are spending far too much time with digital devices. Teachers, pediatricians, and other professionals working with children simply encourage children and families to spend less time with screens and to spend more time in activities with proven developmental benefits, such as creative, active play and face-to-face time with peers and trusted adults. Considering the environmental, economic, social, and political challenges we face, how can reducing the amount of time children spend with digital devices lead to positive changes in our world? It’s easy to take the issue of children’s screen time as a current-moment problem. But, we neglect to remember that the children we are protecting today will be the leaders of our future. They will need skills like creative problem solving and cooperation, which are not developed when they are playing by the scripts set out by marketers. They need to be able to read social cues, make eye contact, play, and learn from different generations in different environments. They need nature, movement, and human contact to develop the mental acuity and compassion needed to solve the world’s challenges. Reducing screen time gives children an opportunity to develop these skills. What are some top suggestions you’d give to parents who'd like to limit their children’s screen time? 1) Be a good digital role model. Our children are always watching us. Developmentally, they mimic what adults do as a way to "practice" being a grown-up. When kids see parents glued to their phones, not only are they vying for attention with the device, but they are learning what is important. 2) Avoid using screen time as a punishment or reward. When kids can barter for screen time or when parents take it away, thinking they are teaching a lesson, it creates power struggles and makes screen time a “forbidden fruit.” See the AAP Family Media Plan for ideas on how to balance screen time and empower children to make healthy media choices. The “Wait Until 8th” pledge encourages parents to hold off on giving their children smartphones until the children are in 8th grade. 3) Take the Wait Until 8th pledge. 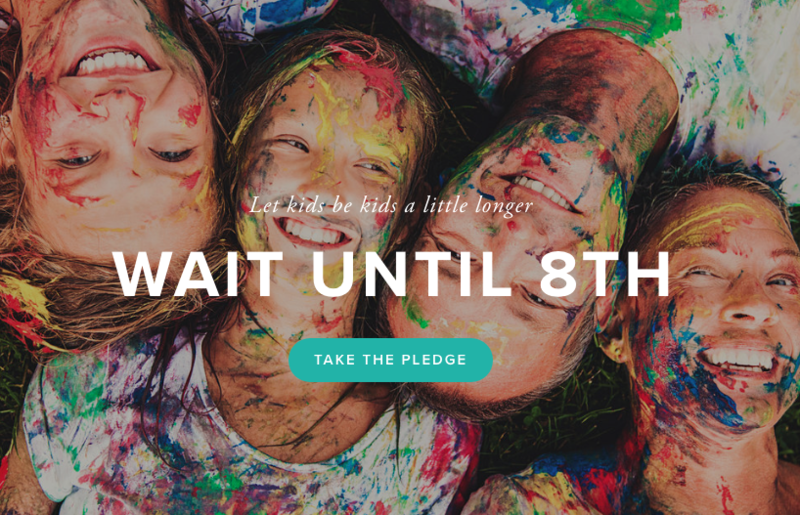 The Wait Until 8th pledge empowers parents to rally together to delay giving children a smartphone until at least 8th grade. When families band together, kids don’t feel ostracized and parents don’t feel like the bad guys. By waiting, children can receive smart phones when they are better prepared for the social pressure smartphones bring and will have already learned how to balance time in nature, reading books, and family time with their screen use. 4) Be gentle on your children and yourself. The words "screen time" can be laden with guilt. When parents can start with the knowledge that they are doing their best and remain open to new information and the many tips available, they can protect the precious childhood years that pass all too quickly. Tell us about the Children’s Screen Time Action Network and how people can get involved. The Network, just launched in November 2017, was born of the need for practitioners and teachers—those providing direct service to families—to avoid feeling isolated in their efforts. Often they are the ones observing a problem with screen overuse and are searching for tools to share with parents, methods that work with families, and ways to communicate screen limits without judgement. Some members have created great resources that work! They want to share what they’ve created with others who have limited resources and time. The Resource Library houses great tools and best-practice sharing for members and their families. Another goal of the network is collaboration. Our inaugural conference, April 20 and 21, 2018 in Boston, will bring together many professionals from across disciplines such as pediatrics, education, and child development—teachers, childcare providers, social workers, and family therapists, to name a few. 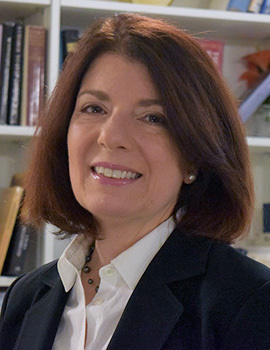 Experts speaking on children and screen time include Jenny Radesky of the American Academy of Pediatrics, Victoria Dunckley, Ph.D. author of Reset Your Child’s Brain, and Matt Miles and Joe Clement, authors of Screen Schooled. These and all of our presenters believe that reducing screen time is both necessary and possible. We’re so excited to see what projects will emerge and the progress that can be made when we work together! Finally, what are your personal favorite screen-free activities to do with children? My children, all now in their 20s, were raised in what I called a "Limited Media Household." We had so much fun doing other things, that TV and video games seemed like they were in the margins, not a focus of our home. My favorite screen-free activities were gardening, reading, and anything messy. Gardening teaches children anticipation, patience, and accomplishment. One of my twins had attention problems, and the seeds, worms, and weeds fed his endless curiosity. Reading was an essential part of the bedtime routine. The problem was, at the end of the book, they always asked for one more book! On nights that I had the energy, I obliged them—I enjoyed the books as much as they did. And even more than the books themselves, I enjoyed how each of my children experienced the stories differently, absorbing the characters, settings, and phrases in their own unique ways. With reading, families can graduate to siblings reading to each other and then the kids reading to their parents. We also enjoyed finger painting and play dough. Screens are not messy. But, messy activities activate children’s senses and their connection to the sensory world. I tell parents, if you don’t want to clean up the mess, just eat dinner around the play dough or walk over the building blocks. Before you know it, your children will be grown, and the messes will be gone with them. For more on this topic, visit New Dream's Kids & Commercialism campaign and check out Jean Rogers' book Kids Under Fire: Seven Simple Steps to Combat the Media Attack on Your Child.